Brian Williams once boasted a reputation of being the most trusted name in news, but he’s now found himself in the midst of a controversy that has left him utterly disgraced. In a shocking turn of events, the iconic broadcaster is being forced to resign from MSNBC after leaked documents have revealed that he’s a hillbilly. What a shame. There’s simply no coming back from a scandal this damning. Earlier this morning, a series of incriminating images emerged on the internet showing a barefoot Williams wearing patched blue overalls while holding a jug of peach schnapps with his trusty three-legged bloodhound by his side, leaving MSNBC no choice but to take action and end its relationship with the troubled newsman. Since then a deluge of additional leaks has surfaced confirming that the man known to fellow hillbillies as Brian Moonshine appears to be nothing short of a true slack-jawed yokel, amongst the evidence an email exchange between Brian and a staffer in which he recounts the time he got struck by lightning while chasing a greased hog up a hill. While at first the network considered suspending Williams until the outcry subsided, it ultimately decided to cut ties altogether, as his sudden fall from grace was only accelerated after the public caught wind of video footage from 2003 of the formerly esteemed anchor shouting “Yeehaw!” and repeatedly firing his rifle into the air upon killing a varmint for that night’s dinner. Unfortunately for him few peers came to his defense, as the documents asserted that there was an instance in 2012 when Brian pulled his floppy hat down over his eyes and took a nap at the base of an old oak tree after interviewing people cleaning up after Hurricane Sandy in Atlantic City, all but shattering his remaining credibility. Wow, what an embarrassing turn of events. Though you’ve got to give MSNBC credit for how it handled this less-than-stellar situation. 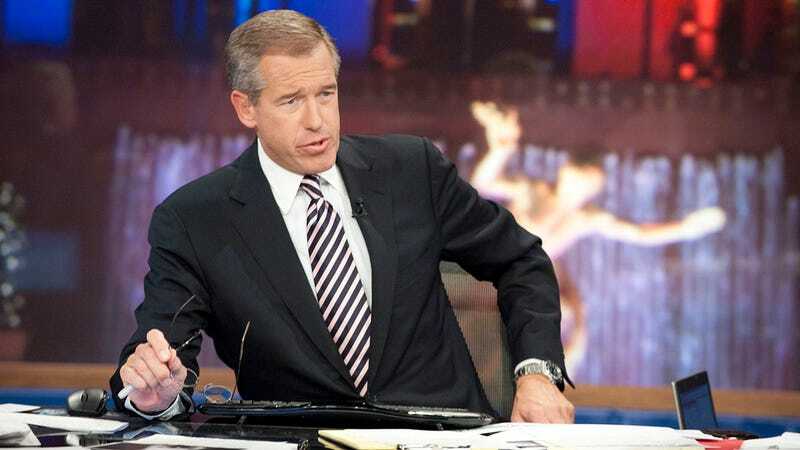 While there’s no telling what’s next for Brian Williams, he’ll need to do a lot of work going forward in order to bounce back from this career low point and win over the viewers he let down.